In order for your pasture grasses to grow well they need to be fed. Water is not enough as many pastures are nutrient deficient. To grow well, grasses need a healthy diet of nutrients such as nitrogen, potassium, phosphorus, calcium and magnesium. 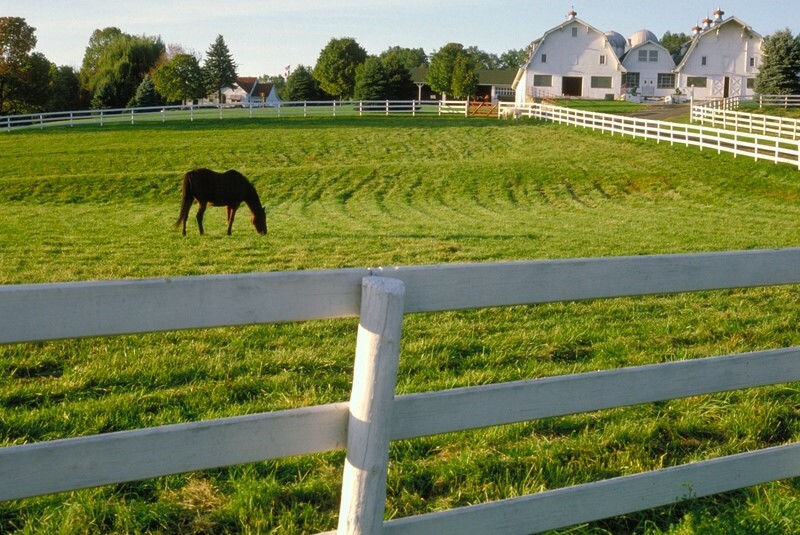 There are a number of ways you can provide these elements to your pasture land including using chemical fertilizers (which is not recommended) or by using a natural fertilizer such as the horse manure compost you make on your property. Horse manure compost is an excellent alternative source of nutrients for your pasture grasses. When using composted manure, nutrients are released gradually which allows them to be used more efficiently by the plants on an on-demand basis. It is this characteristic that reduces the amount of fertilizer that needs to be applied and also reduces the loss of excess nutrients such as nitrate into groundwater. Soil analysis is an important practice of good pasture management. It is important to get a good idea of what nutrients your pasture requires and also be aware of what the soil pH is. The pH of soil has an affect on the availability of nutrients for plants, and the ability of weed species to inhabit the soil. The best range for most plants is a pH of 6.5-7, which is considered neutral. Acidic soils would have a pH with a value lower than 6.5, and alkaline soils would be higher than 7. By monitoring this parameter in your soil you can ensure that your pasture grasses are receiving the appropriate nutrition. Soil pH is an important consideration as acidic soils common to the Lower Mainland area encourage weed growth and can suppress grass growth. Additions such as lime may be necessary in order to reduce the acidity of your pastures. It is also a good idea to test the available nutrients in your soil to ensure that your pasture grasses are being properly fed. Simple pH meters can be purchased at local hardware or garden stores, or pH strips and nutrient testing strips can also be purchased as a less expensive option. Before you amend your pastures with manure, it is a good idea to test its pH, although finished manure should be neutral. You can also check the nutrient levels of your manure before you use it, and alter it if necessary to match the nutrient needs or your pastures. This will help you to ensure that you are matching your manure application to the needs of your pastures. Application rates will vary based on the type of forage, the forage demand, and the condition of the soil. Always begin by spreading thinly, only spread what you need, and never spread close to a watercourse. 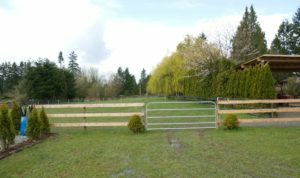 According to the BC Ministry of Agriculture, manure or a manure/bedding mixture from 3 to 4 horses can be spread on each acre of productive pasture on your land. Manure compost should be spread in several applications over the growing season from April to September, but not from October to April. During periods of high precipitation, manure application should be avoided. For additional help on calculating manure application rates, visit the Applying Manure on Perennial Forage page from the Agriculture and Forestry website of Alberta. Want a free source for soil amending and feeding your forage? Visit our Manure Link program. Occasional light seeding of pastures after you mulch with compost can help ensure that your pastures maintain a thick turf that discourages weed growth and reduces pasture damage by compaction. Pastures used for forage purposes should not be grazed below 5 cm in height because as they are eaten down, grass plants are weakened, creating opportunity for weeds to easily colonize. It is vital that grasses are given time to grow back to at least 10cm in height prior to horses returning to the field so that the plants are strong enough to withstand the damage caused by grazing animals. It is important to regularly harrow or drag your fields if you are not picking manure out of your fields daily. Manure “pancakes” left out on the pasture do not break down well, attract insects, impede grass growth, and harbour parasites and eggs. 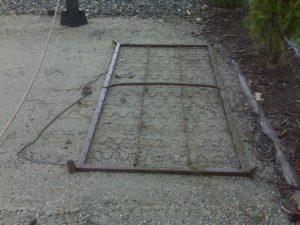 Harrowing breaks the manure into smaller pieces allowing the manure to be absorbed into the ground and exposing parasites and their eggs to the fatal heat of the sun. Harrowing combined with a regular worming program ensures the best control of parasites.